WARSAW, May 15 2014 (IPS) - Since November last year, Bulgaria has virtually closed its borders to an inflow of Syrian asylum seekers and other migrants trying to enter the country from Turkey, while EU institutions concerned appear to have acquiesced to this. Faced with a massive inflow of asylum seekers in 2013 – around 11,000 people lodged asylum applications in the country in 2013 compared with 1,000 on average in previous years – Bulgaria implemented a plan in autumn last year “to manage the crisis resulting from the enhanced migratory pressure.” Its main elements included building a 33 kilometre fence on the border with Turkey and increasing by 1,500 units the border police contingents patrolling that border. It seems to have paid off: just over 100 asylum seekers managed to enter Bulgaria each month in the first part of this year, while at the start of the implementation of the plan, as many as 100 people on some days were being prevented from entering the country, according to statements of the Ministry of Interior. Svetozar Lazarov, Secretary General in the ministry, told Bulgarian media at the end of April that, since the beginning of 2014, 2,367 people have been prevented from crossing the border into Bulgaria. The influx last year, which frightened Bulgarian authorities, came about in the context of a tightening of Greece’s borders and consequent shift northwards of land migrant routes from Turkey. Over half of the asylum seekers lodging claims in Bulgaria last year came from war-torn Syria. Over two million Syrians are currently seeking protection abroad, half of them children. Turkey alone is currently hosting over 700,000 Syrians. Human Rights Watch published a report on April 29 in which it documents how, as part of implementation of the Bulgarian plan, people crossing the border from Turkey into Bulgaria were being summarily pushed back into Turkey, without being given a chance to lodge asylum applications and sometimes suffering abuse from border guards. The evidence of pushbacks comes from 177 interviews HRW conducted with migrants in Bulgaria, Turkey and Syria, during which 44 cases of summary return involving 519 people were reconstructed. “From the situation in the countries of origin of most of the irregular border crossers – Syria and Afghanistan – it is reasonable to believe that many are seeking protection, yet the people we interviewed who were rejected at the border or from within the territory of Bulgaria were not given the opportunity to lodge asylum claims upon apprehension,” Bill Frelick, Director of HRW’s refugee programme, told IPS. “HRW believes that the Bulgarian government has, since November 6, 2013, embarked on a systematic practice to prevent undocumented asylum seekers from crossing into Bulgaria to lodge claims for international protection,” says the report. According to the rights group, this strategy by the Bulgarian government breaches the non-refoulement principle (not returning or expelling people to places where their lives and freedoms could be threatened) included in the 1951 Refugee Convention that Bulgaria has ratified, as well as in EU legislation that Bulgaria is bound to implement (the EU’s Return Directive, the Schengen Border Code and the EU Charter of Fundamental Human Rights). “The border pushbacks documented in this report follow no proper procedure and carry a negative presumption that irregular border crossers are not seeking asylum when the presumption, at least with regard to people fleeing Syria and Afghanistan, ought to be that they are,” explains the report. The study was lambasted in Bulgaria, including by the head of the State Agency for Refugees and the director of the Bulgarian Red Cross – one of the non-governmental bodies that works most closely with authorities – though both individuals have admitted to not having read the analysis. While critics focus on the fact that conditions for migrants in Bulgaria have improved since last year – a fact that the HRW report mentions anyway – no one addresses the main allegation, that the country has been implementing a systematic refoulement plan. Bulgaria’s Minister of Interior Tsvetlin Yovchev, the main figure behind the plan, disputed claims by HRW that violence had been committed by border police against migrants entering the country. He told Bulgarian media that a guarantee of proper behaviour by Bulgarian police is the constant presence in border areas of specialists of Frontex, the EU border management agency. 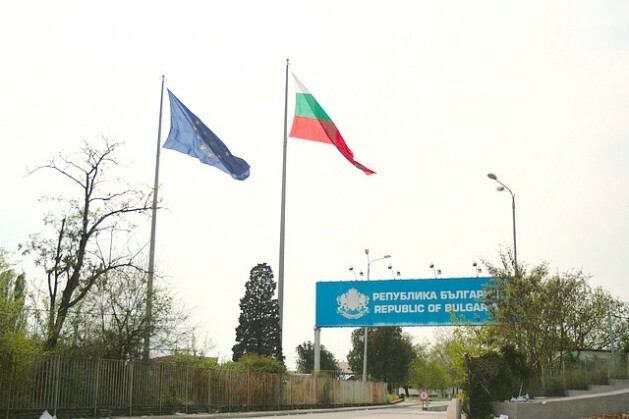 Asked by IPS about Frontex’s participation in the plan implemented by the Bulgarian authorities, Frontex spokesperson Ewa Moncure replied that Frontex is an operational agency which merely implements border surveillance and second line activities (such as interviewing of migrants) agreed with the government in Sofia. According to Frontex, whatever measures the Bulgarian government has taken since November, even if Frontex was involved in implementation, are Bulgaria’s primary responsibility. Frontex also says that it investigates any complaints received about human rights abuses but that it had not received any in Bulgaria that refer to the violations cited by the HRW report. In November last year, the European Ombudsman rejected “Frontex’s view that human rights infringements are exclusively the responsibility of the Member States concerned,” invoking as a case in point the deployment of EU border guards to Greece where migrant detainees were kept in detention centres under unacceptable conditions.. He said a so-called “pilot letter” has been sent to Bulgaria with a request for information, on the basis of which the EC will decide on the next steps; this, however, does not constitute the start of an infringement procedure, which would require a “letter of formal notice” coming only if the Commission were unsatisfied with the performance of the Bulgarian authorities. 3,000 people crossing the Bulgarian border in October 2013 compared with 99 in January 2014 are “figures which speak for themselves,” Ana Fontal from the European Council on Refugees and Exile, a pan-European alliance of 82 migrant rights groups, told IPS.